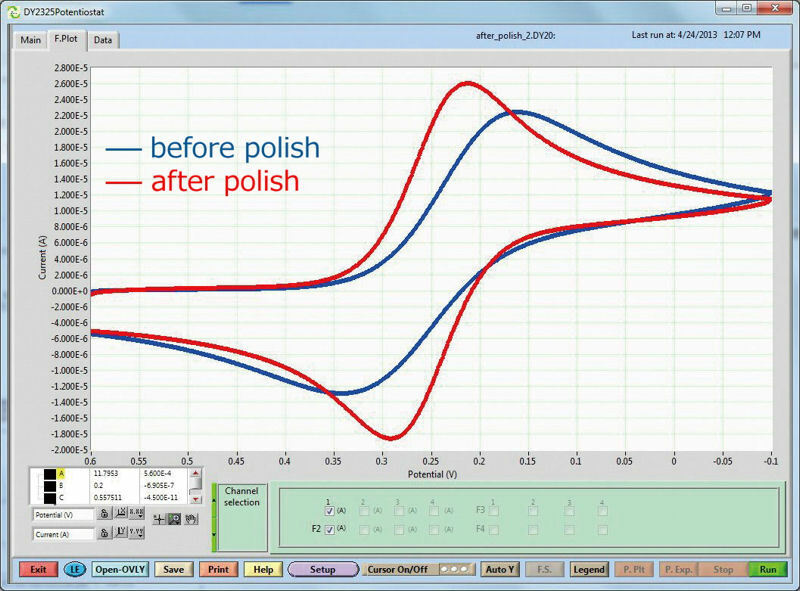 The purpose of the polish is to remove redox reaction products accumulated on the working electrode surface. The polishing maintains a good condition of working electrode for CV/Flow cell. With repeated electrochemical redox reaction experiments, the adhesion of the experimental products on to the electrode surface, and the electron transfer rate is attenuated gradually. If the electron transfer speed becomes slow, the difference between peak potentials for oxidation and reduction will broaden. 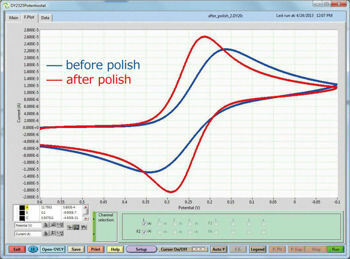 Refreshing the electrode surface by polishing, the electron transfer rate will increase again. Consequently, the peak potential difference becomes narrow and returns to an ideal CV. 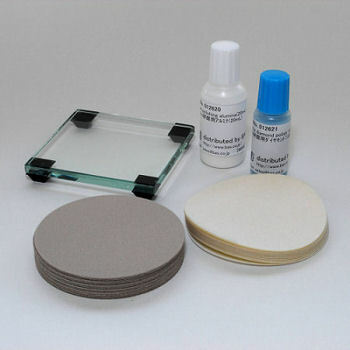 ∗Do not use the polishing solution to the rough hewn polishing pad. ∗For polishing using emery paper, use only distilled water. ∗Polishing solution can not be used for the PG and PFCE electrodes.